Great views of Ft Loudoun Lake from this flat lot in Lowes Ferry subdivision. 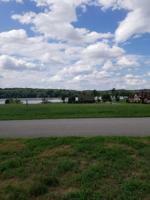 Easy build site and value priced for this awesome lake development just 8 miles from the Pellissippi Pkwy at Topside. Access to Northshore or Maryville shopping, airport, and Knoxville, but still feel like you are living in your own resort community, because you are. Private marina, clubhouse, pool, and gated security are some of the amenities of Lowes Ferry. New custom homes being built throughout the development so grab this lot before it is gone! This listing data is current as of 04-25-2019 14:29 UTC. This property was still available as of 04-25-2019 14:29 UTC.